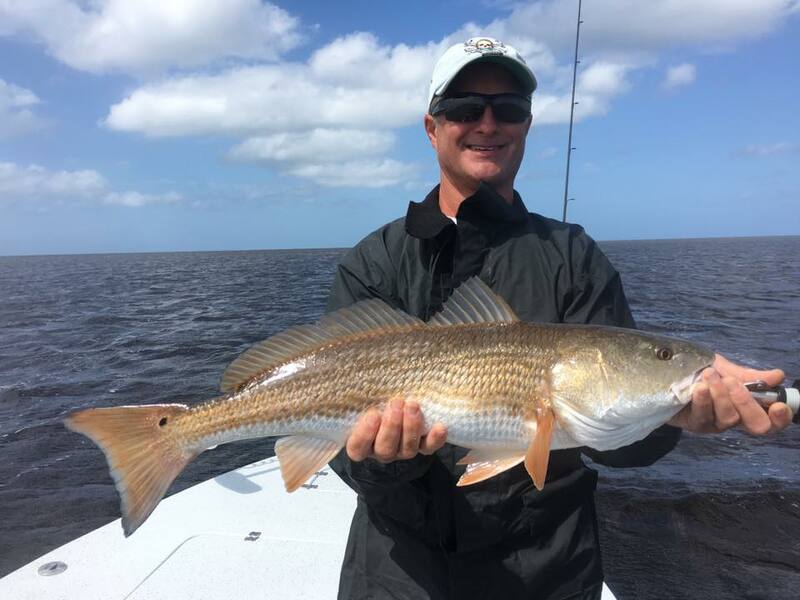 Jason Watson and April Ogle came over from Jacksonville to fish with me and we found some nice fish, including this 27 inch red. 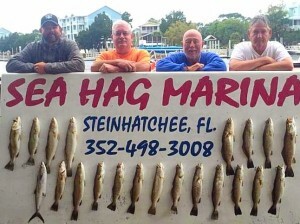 The Chase N’Fish team cleaned up at the Wounded Warriors event. 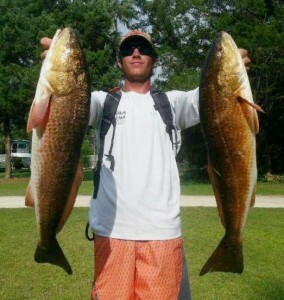 Gage Griffis with a beautiful pair of upperslot redfish. 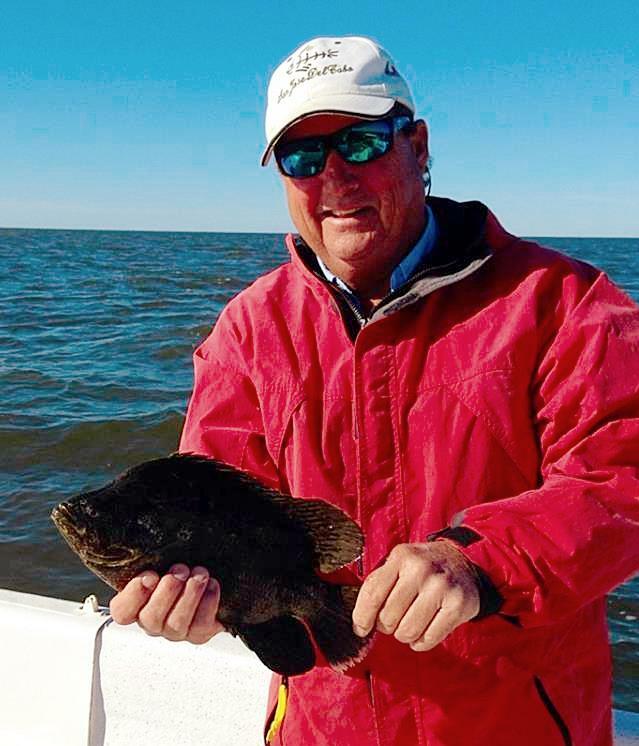 Charlie Walters with one of several tripletail taken recently. Captains Scott Peters and Danny Sheldon won the Slam at the Wounded Warriors event. Steve Graham went in the backwaters for this redfish. 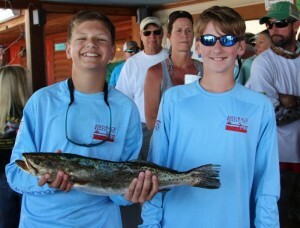 Taylor Carr and Cannon Simmons with the third place trout in the Warriors event. Mark Chupp’s daughters were excited over this trout catch. Marlea Markley’s dog Buck about to take his portion of her redfish catch. 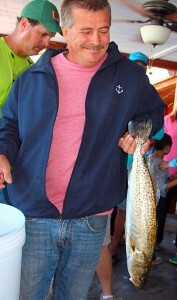 Paul Dickey, fishing with Mark Brady, with the winning trout in the Warrior event. Captains Troy Gehrlich and Jesse Wooten with a sailcat and a mullet. I have no idea why, but they seem happy. Debbie Evans with the first place trout in the Reeling for Rescues event. 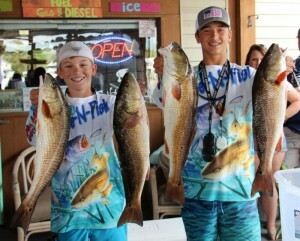 Mabry Stewart and Chase Norwood with the first and third place redfish at the Rescues event. 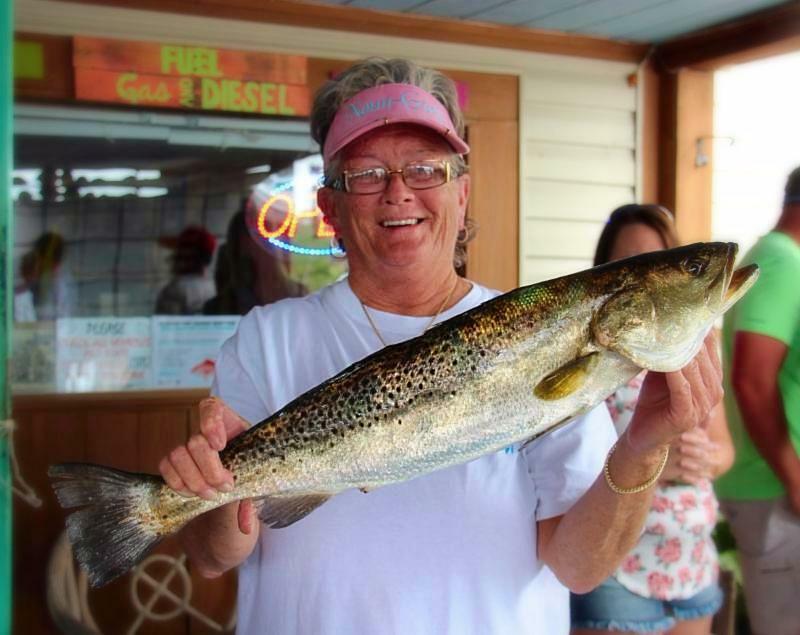 Lonice Barrett, from Dunwoody, Ga with a beautiful trout caught on a Sea Hag rental boat. Last year’s visitors, the smooth puffers, also known as rabbitfish, are back in town. 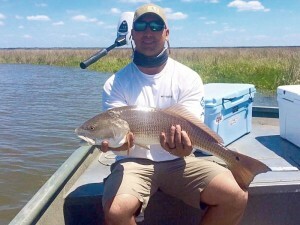 Joey Gonzalez found this nice redfish in a creek. 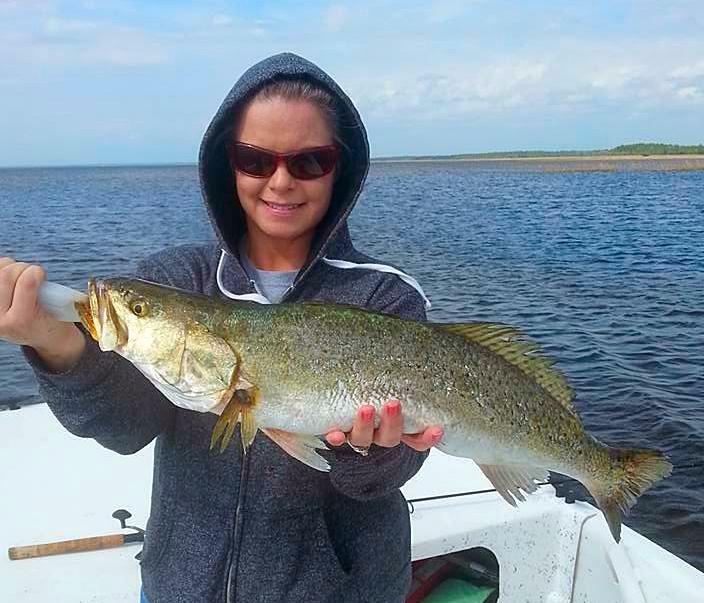 Chastity Chandler with a true gator trout. 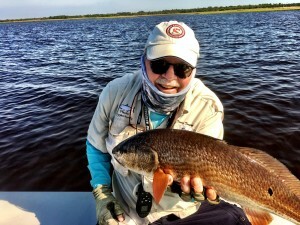 May is a fantastic month to fish the Big Bend. An important change, however, will take place on May 1. FWC has changed the daily bag limit from two per angler to one per angler. 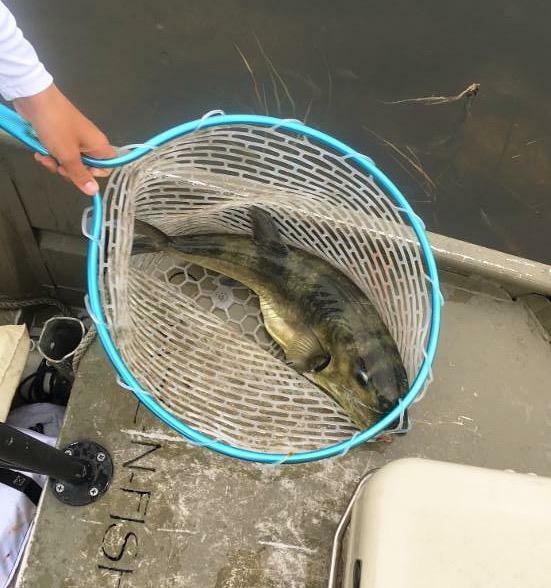 The vessel limit of 8 fish will remain unchanged. 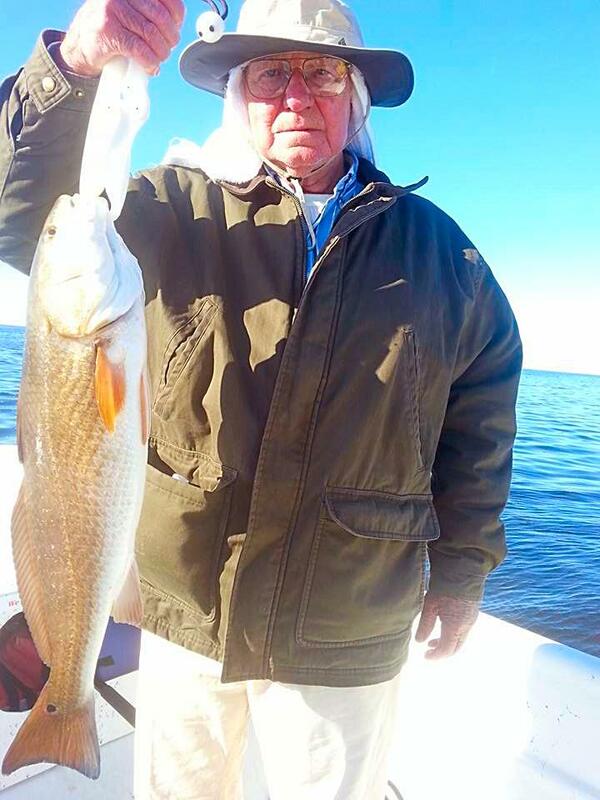 Pending are the final recreational season dates for red snapper, which will open on June 1. Sometime in May the final closing dates will be made public. Gag grouper are open in May only in state waters; their season will open in federal waters on July 1. Every fish that frequents our area will be around in May. Whitebait have arrived in our area, and with them some quick mackerel surprises while trout fishing. 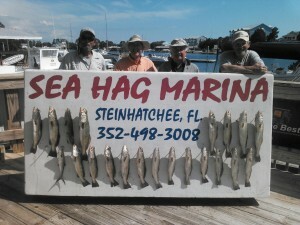 Along with the Spanish, kingfish will be following schools of offshore whitebait and hanging around offshore structure. 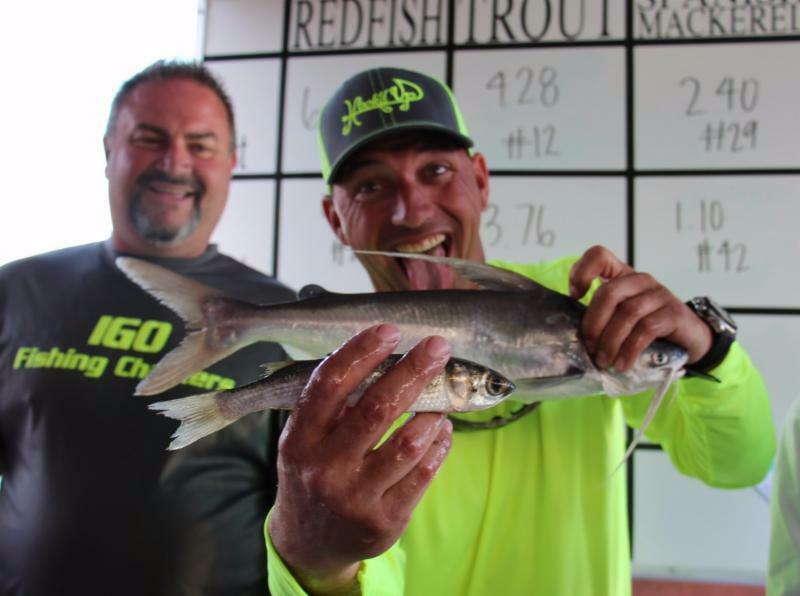 Those same areas with good bottom relief will be holding cobia, which have also been taken on the flats during April. 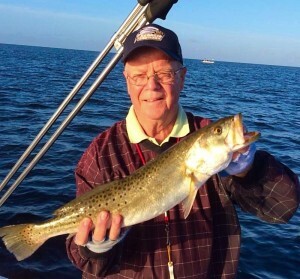 Whenever you are bottom fishing either offshore or nearshore, make sure you have a live bait out under a cork. Use a twin-hook rig and light wire leader, and keep a fairly loose drag to endure the hard first run of a big king. Inshore, it’s looking like things will be better than ever. 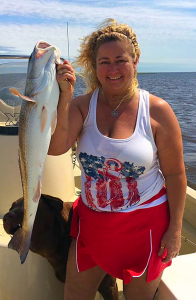 And since scallop season starts at the end of next month, you have a chance to get in some fishing with less crowded conditions. Currently keeper trout are in somewhat deeper water, up to six feet in depth, but as the pinfish and whitebait fill the flats, they will move in shallower. Look for clean water over sand and grass, especially with potholes. There are some very productive areas outside of Hardy Point, Tater Island and Sink Creek to the south, and Rock Point, Dallus Creek and the Bird Rack to the north. 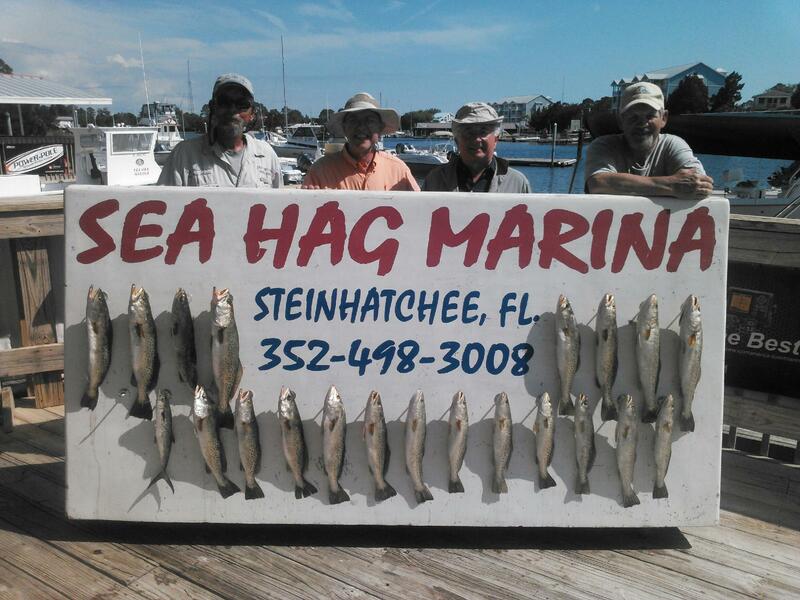 As the whitebait get even more prevalent, lots of fish will be found around the nearshore shallow bars like Little Bank and 9 Mile Bank. 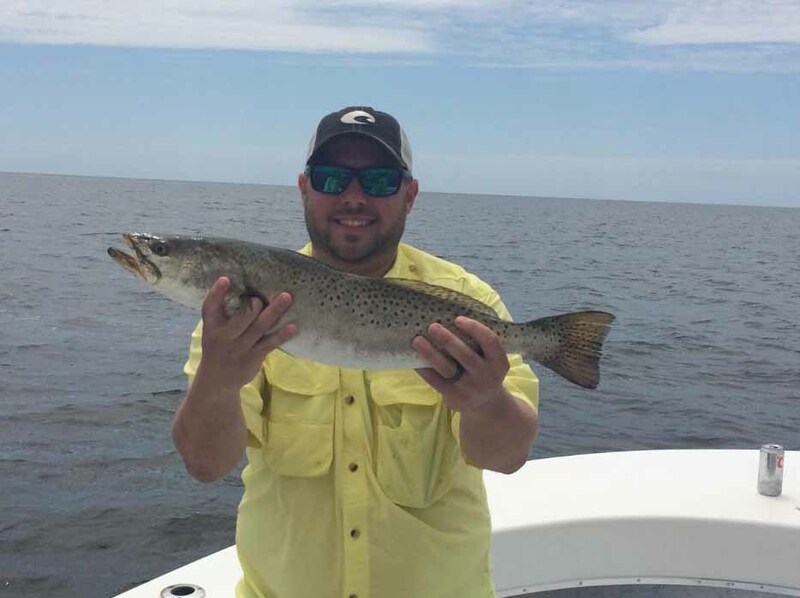 Expect to find sand trout, Spanish, ladyfish, and spotted seatrout. Drift using ¼ oz. 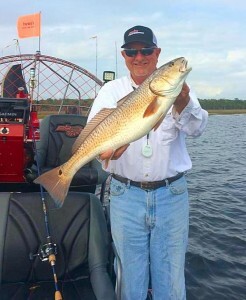 jigs with Gulp shrimp or jerkbait tails. In the shallower areas, popping corks with live shrimp or similarly rigged jigs and Gulp baits. 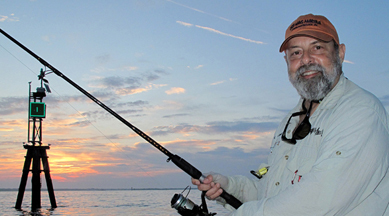 Troll Clark Spoons, 52M Mirrolures or jigs around nearshore bait schools with wire leader to target Spanish mackerel. Redfish are going to found around structure, or on low tides in 3-5 feet, moving in with the tide to areas of rock or oyster bars. 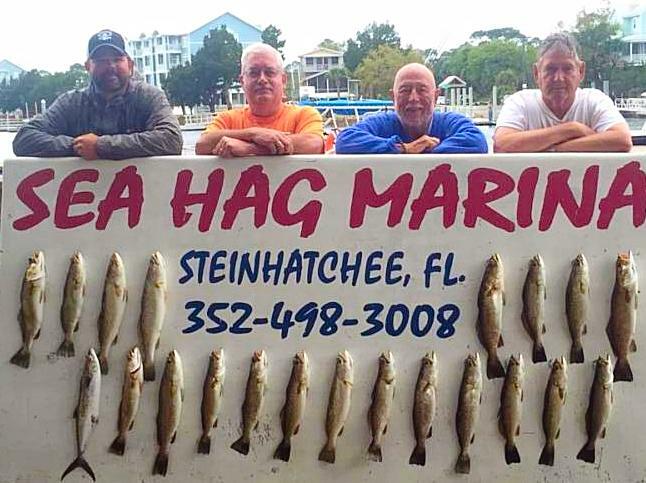 There are large numbers of rockpiles in the Steinhatchee area, and all of them may hold redfish. Rock Point, Sand Point, and most of the shorelines and points to the south of the river usually have rockpiles. Fish very quietly in shallow water using topwater or suspending plugs, jigs with soft tails, drifted live shrimp, live pinfish, or cut bait around the structure. If you can find schools of mullet in an area, that’s an additional clue that there may be redfish around. 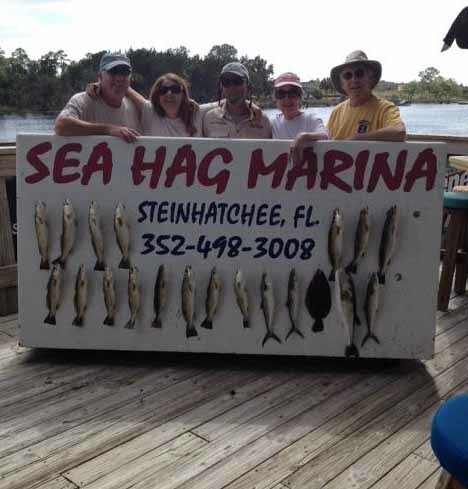 May is a fantastic fishing month in Steinhatchee. May 7th is the Optimist Club tournament, one of the larger local tournaments. 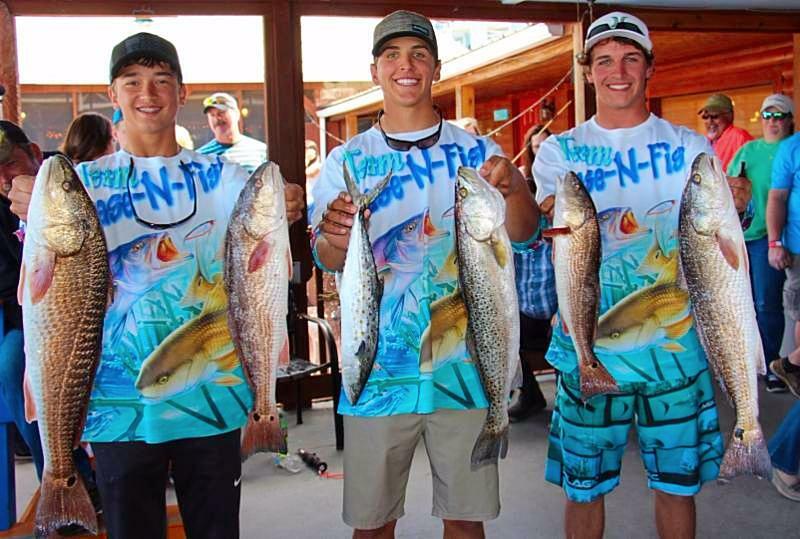 And get ready for next month’s Doug Johnson Reeling for Kids tournament and the Nautigirl’s Tournament next month. Ladies, you’re allowed one boatboy per boat so choose wisely. 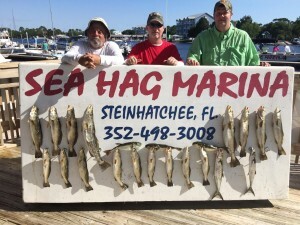 You can get additional information from the Sea Hag Ship’s Store; we recently got in a large selection of new lures and Gulp tails. 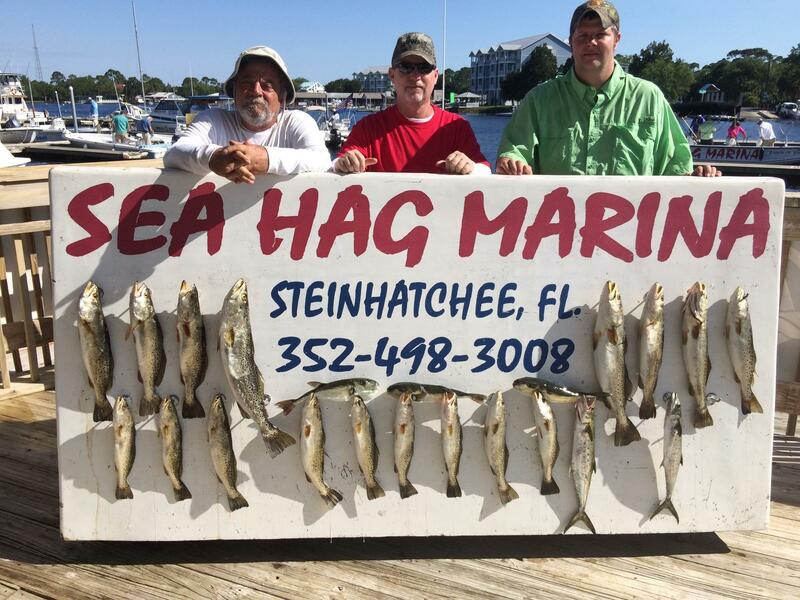 We’ve got tanks full of fresh live shrimp and live pinfish, and all the rods, reels and tackle you will need to fish our area. 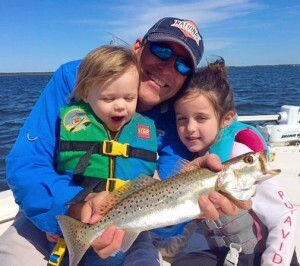 Look forward to seeing you on the water in May!!! 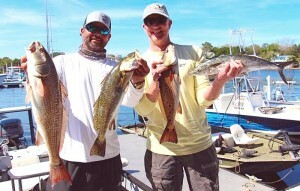 Trout are on the flats fattening up for the spawn, and there are lots of gator size fish. Put the ones over 30 inches back to ensure future stocks. 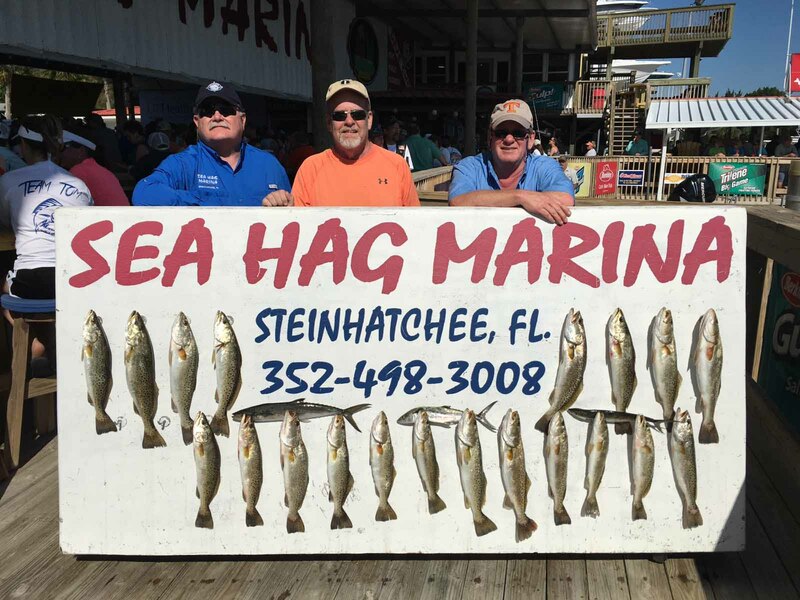 There are lots of Spanish mackerel around the bars and cobia starting to appear in the shallows, and redfish are still around the rock piles.